How many companies (including the one that invented this finish) have tried to recreate the “TV Yellow” finish with disastrous … even hideous results? Let’s just say “many”. Why am I not surprised that Bill Collings has managed to really nail it! 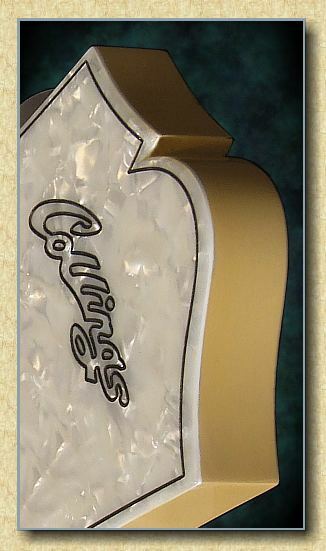 Here is our first Collings Model 290 with the translucent … yes, just the perfect amount of grain shows through the finish … TV yellow finish, along with an engraved mother-of-pearl peghead overlay, 24 7/8″ scale length, lightweight mahogany body with contoured back, TonePro tailpiece and tunematic, comfortable 1 11/16″ wide bone nut, Sperzel tuners and last but not least … custom Jason Lallor P-90 pickups!!! As gorgeous as this guitar is, Bill Collings has targeted the working musician for this model … the design is intelligent and utilitarian, the sound is versatile to say the least and the price is right! 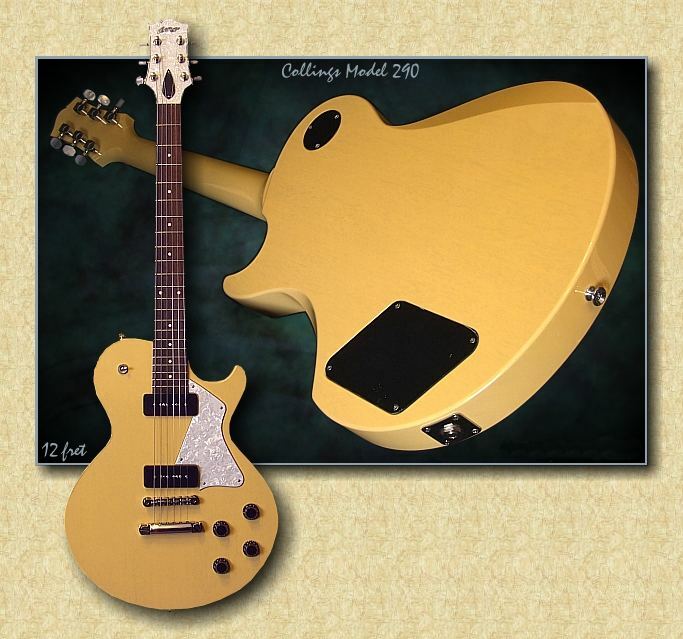 $2745 USD with hardshell case!